Compared to Edison, Franklin, Kettering, and other prolific inventors, I'm small stuff. But with a handful of patents and some experience at prototyping, manufacturing, and distribution in the modern era, I have learned a little bit that I am happy to pass along at no charge. You can learn a little more about my background and inventions here. I don't have a patent or invention lab. I don't spend any time trying to think of new ideas or things to invent. My ideas have all come from observations while going about my day. For instance, the first time I played golf, I thought it was a little nuts carrying a heavy bag of clubs around. So I turned to my cousin and said, "This is crazy. I'm going to build a club with an adjustable head so I can play the whole game with just one club!" That was the birth of the idea...a fairly normal thought pattern. I have since had a lot of customers who have said to me, "I thought of the same idea, but never was able to do anything about it." That is very common. Most people can't turn an idea into a product...much less be able to market it successfully. There are a lot of steps in between having an idea and making money with it. That is what this page is about...how to take an idea and turn it into profit. Unfortunately, I predict that if you are an aspiring independent inventor, you will find this page discouraging. But it is reality as I know it, and it will be more helpful for you if I don't sugar-coat it. I wish someone had told these things to me when I started...it would have saved a lot of time, money, and heartache! Of today’s 2.1 million active patents, 95 percent fail to be licensed or commercialized. These unlicensed patents include over 50,000 high-quality patented inventions developed by universities. More than $5 trillion has been spent in the U.S. alone on research and development over the past 20 years, much of which went to create the very patents that remain unlicensed. According to Forrester Research, “U.S. firms annually waste $1 trillion in underused intellectual property assets by failing to extract the full value of that property through partnerships.” In other words, we’re pouring money – and productivity – down the drain. With all products, the key to profit is not in the invention or manufacturing. It is the marketing. That is where I spend most of my time. Marketing, not inventing. Day after day, month after month, year after year. I am constantly working on ways to SELL what I have invented. Inventing is only the beginning. If I was to put a value on it, I would say it is worth about 2.5% of the success of a product. It just so happens, that is approximately the normal royalty fee paid to patent owners...IF they are fortunate enough to land a licensing deal. But getting a royalty licensing deal is extremely rare, as discussed more fully below. Another small percentage of the value is making a functional prototype and developing the manufacturing tooling and supply channels. Almost all of the success of an invention is due to marketing. Inventors are too much in love with our own ideas. We get frustrated when others don't have our enthusiasm, not to mention the willingness to invest. I have listened to many people with ideas they believe will revolutionize an industry. They just can't understand that their idea might be cool, but it lacks the necessary "ingredients for commercial success" which I will discuss on this page. I have been guilty of this too. Before I learned my lesson, I invented and developed some products at great expense that I was "sure" would succeed, only to find out that being in love with my own invention gets in the way of understanding the marketplace’s wants or needs, and its willingness to buy it for a price that makes it viable! I have developed functional prototypes that performed as designed. They have impressed people. In some cases, I went ahead and developed expensive tooling and manufacturing because I was SURE it would be a commercial success, launched expensive advertising campaigns, but failed to sell enough to pay for the advertising. Those were commercial failures. But they were also educational and taught me to do a better job of evaluating the need and other elements discussed on this page. After learning those hard lessons, I have saved a lot of money using the filters and criteria I will outline here. My definition for success is NOT merely coming up with an idea. I define success as being "commercially profitable." What other definition could possibly justify the time and expense of inventing a product? Over my career as an inventor, I would put my success rate at about 5 out of 10 which I have come to find out is better than most inventors, but far less than the public perception. Some people observe my successful products or companies, and think that I always win. But that is not the case. However, I've gotten a lot better at it the last half of my career than the first half. It's a learning curve. I now significantly increase my rate of success by abandoning ideas that do not meet the criteria on this page. How can you get a realistic commercial view of your idea? How can you test market your idea without investing a lot? What should you do yourself and how much should you hire out? I submit the following for your consideration. If you are interested in making money with your invention, start with a patent search. Fortunately, this has become inexpensive and easy with today’s technology. It is as simple as searching for your idea. For instance, searching for "patents for adjustable golf clubs" will yield several intersting results. Or, you can just go directly to http://www.google.com/patents and have some fun. You can search by number, name, category, and key phrases. When you find a patent that is similar, you can "drill down" through the "prior art" patents. In a few minutes, you will have a pretty good idea similar products that have already been patented. When I did a search for my Adjustable Golf Club, I found that there had been 118 patents issued for adjustable or telescopic clubs since 1895. And the one in 1895 was pretty creative. Fortunately, I also learned from reviewing those patents that no previous patent had the design or features I was planning. So even though there were a lot of patents, I knew I could make some claims that were unique...which is the key to getting a patent. I also concluded that none of those 118 patents had been successfully marketed since none were talked about in the golf industry. Yet, every one of those inventors believed they had invented something the golf world would love. Would my design be any different? Could I succeed where everyone else had failed? I still had research to do. Like my adjustable golf club, most people find that their idea already has several versions that have been patented. If your idea is substantively different, you might be able to get a patent. But remember, a U.S. patent is expensive if you hire a legal firm to do the work. It can easily be $10,000 to $30,000 depending on the complexity and type, plus regular annual maintenance fees. And that doesn't even begin to consider the costs for international patents. 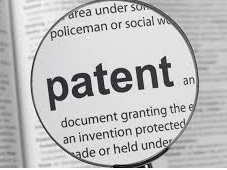 What is a patentIf the patent is awarded, the value of that patent may be minimal. If your idea is commercially successful, IT WILL BE KNOCKED OFF. Your patent gives you the right to sue the offender...if you can find them...if you have the money...and if they have assets worth seeking. Patent infringement cases are very expensive to file and win. I will repeat that another way. A patent doesn't stop someone from copying you. It only buys you the right to spend more money to try to stop knock-offs. You have to take them to court and win...and then you have to prevail at actually collecting any damages. But the world is full of low-level knock off perpetrators, and they don't have any financial resources to go after. And if you are knocked off by a big company, they can outlast you in court. My Spiral Wishing Wells have been copied at least 16 times over the years. Most come and go. They typically don't cause me any problems because they aren't commercially successful. They have found that it is easier to steal than to sell. They publish a website, or try to place Wells locally, and find out it isn't as easy as it looks. Again, marketing is the key to success...not the product. Your product has to be good, but that isn't the key to its success. When knock-offs publish a website, that doesn't do them much good because no one finds them. I have spent years getting to the very top of the organic search results. So when people look for a "coin spinning funnel" or a "wishing well fund raising device" or any derivation of those searches, they find my website in the top spot. I get the same top organic results with my other products and websites which underscores the importance of marketing. So when a knock-off finds that they can't sell the devices as easily as they thought they could, they drop out of sight as fast as they appeared. If they persist, I can send a courtesy letter to the owner or manager of the host location that refers to my patent and lets them know I am starting an investigation to see if the device they have in their store infringes on my patent. They don't want to be in the middle of a legal battle, so they get rid of it immediately, and that usually shuts the knock-off down. So a patent is valuable, but not because it stops people from copying you. Another way I win is because this is my business. Knock-offs usually have their hands in a lot of other things and their communication ethic is as shady as their willingness to steal an idea. My communication and customer service is impressive. I answer phone calls and emails immediately and thoroughly. My prospective customers quickly come to know that they are dealing with a professional. Many have commented that they sent an inquiry or left a voice mail with another coin funnel seller, but they hadn't heard back from them, or when they did, there were a lot of claims but no substance. Said another way, I win because of my marketing...which is supported by communication and service. You won't succeed without it. In the end , a patent isn't as valuable as most people think. It has protection advantages, but it doesn't stop knock-offs. After you have determined whether or not your idea infringes on another, or if it is patentable, I suggest you work backwards in order to determine if there is a realistic chance of profit. When I say "profit" I mean MORE money coming in than going out. It isn't enough to sell a lot of products. I've done that and lost money. It has to be profitable. 1) How much will people pay for it? 2) How will they hear about it? How will you market it, and how much will that cost? 3) How much will it cost you to make it or have it made? That includes the shipping costs (and import if applicable) to get it to your location. 4) How much will your inventory and related costs be? This includes your space, utilities, employees, computers, internet, telephone, packaging supplies (I buy thousands of dollar's worth of cardboard boxes per year...) etc. It also includes how much the money is worth that you have invested in this part of your business. In other words, if you spend several thousand dollars for inventory and several more thousand to set up and operate the business, how much could you earn on that investment if you put it into the stock market or another form of hands-free investment. That value of the money has be deducted from your profit. 5) How much is your time worth? If you spent the same amount of time selling another product that is already invented and someone else was bearing all the inventory and distribution costs, how much money could you earn with your time? If you answer that by saying, "But I don't like sales," then you DEFINATELY don't want to invent a product of your own because you will have to be a salesman to sell it. The majority of the time, you can make more money faster with commissioned sales of someone else's product than inventing your own. Sorry about that. But it's the cold hard truth. 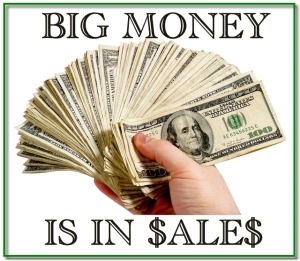 Sales is where the big money is. I've abandoned several ideas, some with fully-functional prototypes because of the answers to those questions. And I have a warehouse and distribution system up and running, so those costs are already covered! For instance, I designed a motorized pottery wheel that made it much easier to use than any machines already on the market. It had an easy-to-control variable speed foot throttle, a self-centering shaping device, and was quieter than other wheels. I had pottery experts use it and exclaim that it was far superior to anything else on the market. In spite of all that, I concluded that the marketplace wouldn't pay enough more for it than the existing machines that already had well-established reputations and methods of distribution. Further, the retail value of a device like that is in the $300 to $600 range, and given the cost of manufacturing, the margin wasn't great enough to justify the advertising and marketing costs. 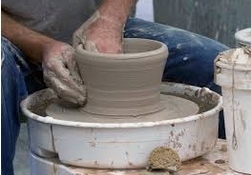 Another option would have been to "license" it to an existing pottery wheel manufacturer. But that is not an easy process, and a typical license fee (royalty) is around 2.5% of the wholesale value. I weighed all that against the fact that I could make more money focusing on marketing my existing products, so I abandoned the pottery wheel idea, even though I believe it would be the best pottery wheel in the world. I wouldn't have done that in my early days. I would have pursued it, secured a patent, developed the manufacturing lines, and gone into the market with young uninformed ambition and high expectations. Which is why I lost a lot of money early on when I didn't have the discipline or marketing maturity to say no. Basic raw market research is not expensive. Even casual research using the Internet will help you. Do a lot of online searches for words or terms that might be associated with your product. Ask professionals in that industry if they have ever seen anything like your proposed invention. For instance, if it has to do with plumbing, find the most experienced plumber you can, and ask them if they've ever seen anything like it before. Get their opinions. Ask them if it would be something they would use. If yes, ask them how much they would pay for something like it. Ask, ask, ask. Ask people in the target market demographic if they would purchase a gadget like you describe if it were available? How much would they pay for it? Ask them to be brutally honest with you. But realize that your friends won’t want to hurt your feelings, so try to get the opinions of strangers too. You might find that things like your idea have been done before, and failed commercially. That doesn't mean you should abandon your idea, but it does mean that you have a wealth of information from which to learn. Most of the ideas people share with me have already been done. It is rare that someone comes up with a uniquely new idea. Most newly-issued patents are improvements on existing patents. But in order to get a patent, you have to show that it isn't a logical usage of the existing patent. Will your product have to be made by a manufacturer already in that industry? Or by any number of sub-contractors who make that kind of widget or component? For instance, with my Wishing Wells and Golf Clubs, I sub-contract to companies that do fiberglass, rotational-molding, injection-molding, investment casting, and vacuum-forming. I can pick from dozens of these vendors. I am the manufacturer and I sub-contract to them (not altogether different than General Motors sub-contracting much of its components to other companies). In other words, you have a lot more options if your product can be manufactured by non-specific industry vendors. If a manufacturer already in the end-product industry has to manufacture it, the best you can hope for is a tiny royalty, if they will even look at it. But most existing companies do not accept outside ideas because it is a huge hassle working with entrepreneurial inventors. We are notoriously a pain in the neck to work with because we are in love with our product and we don't appreciate the manufacturing, distribution, and marketing costs. Aside from that, the economics of royalties are often prohibitive for those companies. By the time the manufacturer/distributor pays 2.5%, their costs are inflated too high to compete with the inevitable knock-offs who will bypass the patent EVERY TIME and don't have that royalty cost! Similarly, they do not want to sign non-disclosure agreements because it puts them at a legal disadvantage with their competitors who simple modify the design or key elements to circumvent the patent. When I invented my toy Vortx™ (the interactive coin-spinning piggy bank), I sent a final product to several toy companies (Mattel, Hasbro, etc.) to see if they wanted to distribute them. I already had $100,000 worth of molds and a tested injection molding manufacturer. I had already sold 50,000 of them so I had proven that people would buy them. I had a fantasy it would be the next HOT TOY and would sell millions of units. But the existing manufacturers were not interested. In some cases, I received the box back UNOPENED with a letter explaining that they did not consider outside ideas. That was very discouraging. So I decided to continue to market it myself...which has turned out to be very profitable because I use the large floor model Wells as "demonstrators". I get to place those demonstrators INSIDE Walmarts, McDonalds, and many other locations with an offer to, "Take the fun home with you. Get your own Mini-Well. If you donate $1 or more worth of coins in this Well, we'll give you $5 off your own toy Well!" So I actually get better in-store locations than mainstream toy manufacturers who only get shelf-space. If I walked into a Wal-Mart store and asked, "Can I stand here in your entry-way, and sell my toys to your customers?" they would laugh me out of the building. But they actually BUY a floor model Well to raise money for their charities...on which I make an up-front profit, and the sign on the Well sells my toys to their customers 24 hours a day at FAR more profit than if I supplied them wholesale quantities, or licensed them to a major toy manufacturer! Now, several years later and over a million Vortx's sold, I'm not interested in licensing to them. They would want to manufacture it in China, sell it for $9.95, and pay me 2.5" of the much lower manufacturing cost. I get to sell it for $19.95 or $24.95 and profit from the full difference between manufacturing cost and sale price rather than settle for a tiny sliver. Fortunately, it is the type of product that can be sold effectively over the Internet, and along with the larger floor model Wells as demonstrators. Note: I would NOT have developed the Vortx toy by itself. At $24.95 which is the amount the market will bear, it doesn't have enough margin to justify the development and other costs using my criteria on this page. But because I already had the floor model Wells which "pre-sold" the toys, it made sense, and has now become a great product on its own. In the age of the Internet, it is much easier to market your own products than in the past, and to a much larger market...the entire world! 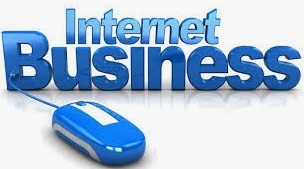 However, Internet sales still have overhead and costs that will affect the feasibility. For instance, there are credit card merchant fees, fulfillment (packaging and shipping), call centers if you have large phone volume, etc. But by far, the biggest cost is marketing and advertising. Gone is the day when a search engine listed you just because you existed. Now it costs a LOT of money to keep up with Search Engine Optimization (SEO). Most search engines exist to make money, so you have the opportunity to "buy" your exposure in the form of pay-per-click or other forms of advertising. That can be very expensive. I currently have 3 product lines that I market over the internet: Spiral Wishing Wells, Telescopic Golf Clubs, and PWC Rails (jet ski rails). If you search for those terms, or any derivations thereof, you will find my websites listed first, and several more times on the first page. That took time and money. I had to learn how to do it. But it is "Internet Gold" to be listed at the top of organic search results in today's marketing world. It is worth more than the product itself. In other words, when I am ready to sell one of those product lines, the organic search results will be more valuable than the patent, more valuable than the established manufacturing channels, and more valuable than the brand names. Remember, the most important ingredient for success is marketing. And top internet search results are like gold. All costs of running a business have to be considered. If you can do it from your home, you can save the cost of a retail walk-in store-front space. This is a BIG benefit, and one that can make a big difference to the feasibility. Several people have become millionaires selling products over Amazon and Ebay...from their home. Notice that I didn't just say they became millionaires INVENTING products. They became millionaires SELLING products. And there are more YouTube millionaires every year who don't invent, don't manufacture, and don't sell. They just "review" products and get millions of subscribers. They earn money when those subscribers click on advertising while watching the videos. Margins: I don’t spend time manufacturing or selling new "physical" products that sell for less than $100 retail, unless it is an up-sell product such as the Vortx toy, or an additional golf club or accessory. By "physical" I am making a distinction between products that require handling and shipping vs. downloadable software which costs less or nothing to inventory and deliver. For physical products, the manufacturing cost should be no more than 20% to 30% of the retail sale price. Otherwise, the inventory, shipping, advertising, and marketing costs make it difficult to have enough margin. Said another way, most of the logistical costs are the same for a $9.95 trinket as for a $300 golf club. But the little trinket wouldn't even cover the hassle, even if 100% of it was profit...unless people purchase a dozen or more at a time. On the other hand, if you have an e-book or other information product that can be downloaded over the Internet, then even small retail prices can be profitable. One of the technology companies I developed was "Voxwire Online Meeting Rooms" which allowed users to talk with anyone in the world over their computer and show visuals at the same time. I discovered the person who created the coding technology for VoIP (voice over internet protocol) but didn't know how to market it. That was a a great find for me, and it illustrates how the inventor wasn't successful until the invention was successfully marketed. But because it is downloadable, there are no inventory or delivery costs, so the smaller dollar amount is profitable. After a couple of years of international growth, I sold Voxwire to a telecommunications company in New York, so no longer own it, but it was very profitable and has generated a nice chunk of residual revenue. Another benefit to a downloadable product is that it is much easier to sell internationally. And that is a MUCH larger market place than the USA alone. Although I ship Wishing Wells and Golf Clubs all over the world, my international success is limited a little by the logistics of delivery and distribution. The cost of shipping can result in a no-sale. The only limiting international factor for Voxwire is language, and that was fairly easy to solve. Thankfully, English is the predominant international language so there are plenty of customers before having to get into translating websites and instructions. There are MANY examples of people who have made tons of money over the Internet. A retired hardware store owner started answering, "How to" questions and turned it into a blog using Google's free blog tool that now has millions of visitors. He makes a trickle of money every time they click on a Google ad. That's how he "monetized" the blog. He had spent his whole working life slaving away at his own hardware store and retired after going broke because of the big-box competitors that came into his town. Now he lives in Hawaii, and answers 2 or 3 new questions a day with his fingers on a keyboard. That's not a bad way to go if you have expertise in a niche and the ability to type. I have a friend who knows EVERYTHING there is to know about boats. He has operated a boat maintenance business all his adult life. I can send him a little video I take with my phone of my engine, and he can diagnose the problem from the sound. He's like the "engine whisperer"! But as he is getting older now, it is more and more difficult to go to work every day and climb in and out of boats. I told him the story about the retired hardware store owner and encouraged him to start a blog about boat repair. He could make a small fortune because of what he knows. But he hasn't taken the initiative to do it. It drives me nuts because it would be so easy. Nothing to inventory. Nothing to manufacture. Just type. I would do it if I knew what he knows. So if you have a knowledge base that can fill a niche market, that can be a lot easier way to make money than inventing and marketing a product. 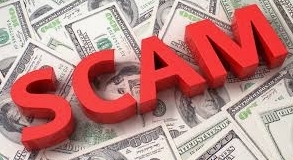 Beware of patent scams. There are literally dozens of companies that will promise to take your idea, patent it, submit it to "known" patent investors, and make you rich. Oh, they might not promise riches, but they certainly imply it with stories of grand success. I have never found one yet that tells people the truth that I describe on this page free. Their goal is to take your money. They can't promise success, only steps they will take...at a significant cost to you. But those steps aren't going to sell your product. I receive many "disclosure brochures" from patent mills. I'm on their mailing list. That means you can hire them to send out letters about your idea, and I'd probably get one. But that isn't going to get you an investor. In all the years I've been getting these patent idea brochures, I haven't seen one I thought would be profitable, let alone an idea I wanted to invest in. But I feel sorry for the inventors who have spent hard-earned money believing these patent mills were going to take them to the promised land. They take advantage of the naiveté of novice inventors who are in love with their own products, and in many cases are willing to borrow money or spend their retirement nest-egg with a patent mill because they are led to believe it will make them rich. When I invented the large Spiral Wishing Wells, I didn't have enough money to build the tooling and develop the marketing. But I was ABSOLUTELY SURE that if I could only get the idea in front of someone with money, they would JUMP at the chance to provide financing. Does that sound familiar? It wasn't that easy to attract interest. A doctor I knew expressed interest. After lots of negotiating, I agreed to his terms. I was willing to give away half of everything I would ever earn, AND controlling interest for a meager $25,000 investment. In other words, I was willing to do all the work and make a silent investor a huge profit. Actually, that is as good a deal that someone in my position could have gotten. The person investing the money for an undeveloped, unproven idea is always going to get the most. But just before signing the agreement, he got cold feet and withdrew. I was devastated. But that turned out to be his loss and my gain, because I found a way to get a fiberglass vendor to take a chance with me by making a mold and a couple production Wells on 30-day terms. The rest is history, as they say. I have sold thousands of Wells, and now count Wal-Mart, McDonald's, and other well-known companies as my best customers. Wishing Wells have generated over $1 billion for charities and organizations around the world. I thought it would be a short term business...thought I would penetrate the market in 2 or 3 years, but that was a silly notion. The world is a much larger market than that. This business has been going strong since 1985. So for me, I'm glad no one was willing to invest. If they had, I would now be sharing my hard-earned profit rather than being my own boss. I much prefer the latter. The moral of the story is, do EVERYTHING you can to try to do it on your own. If you have to take on an investor, be prepared to give up a lot. Anyone with the ability to invest is going to want control, or at least, a huge profit. Many would-be inventors watch the popular TV show called Shark Tank where inventors pitch their idea to rich investors. Sometimes you see inventors turned down and they walk off the stage dejected. Other times, you see deals being made and think, "If only I could pitch my idea to someone like that!" However, it isn't nearly as easy as it looks on TV. According to many sources, most of the deals made on the show are never enacted, because of the agreements the contestants sign before they get on the show. All the deals have to be vetted through a process, and few of them pass. They include product testing and the examination of the contestant's personal and business financials. The Sharks are not stupid people. They would NEVER invest in a person they didn't thoroughly vet. The small segments we see on TV only show the good-for-TV high points of the process...demonstrating the product, and negotiating with the Sharks. Business deals are not that simple. And there is no way the Sharks will invest in someone that hasn't proven their product's viability. In most cases, the inventors give up the lion's share of the profit and take a minor stock position. If you haven't already done so, you can learn more about this by looking at the Wikipedia page on https://en.wikipedia.org/wiki/Shark_Tank and doing web searches for phrases like, "do the shark tank deals really happen?" From time to time, various people have wanted me to join them in developing, manufacturing and marketing their invention. But in every case, they wanted WAY too much money (or percentage) which made the project unfeasible for me. What all first time inventors can't easily accept is that the invention, even of great products, is only about 2.5% of what's needed to make it a successful and profitable product IF it is ready for market. If the idea still needs prototyping, developing, testing, and tooling, that percentage value drops even lower, and it is nearly impossible to attract an investor. At this stage of my life, I am not looking for projects. I'm actually now more focused on how I am going to sell my businesses. That said, if you want to share your idea with me, I'd be happy to give you feedback and direction AFTER you have filtered it through the concepts on this page. If your goal is to make a lot of money without much risk, then sell something that someone else has already invented and is already manufacturing. Use the Internet so your market is not limited by borders. Work from your home. Try not to handle the products yourself...better to have the manufacturer drop ship for you. Focus on selling. That is where the big money is, whether it is your own invented product, or someone else's. Independent inventors who actually make money usually develop their own ideas and manufacture and distribute their own products. This usually requires more resources and business background than most inexperienced inventors have. As such, many good ideas stay in people’s heads or as partially-completed prototypes on a shelf in their garage. Still, it can be done, and there is hope in that possibility. If, after evaluating your idea in light of the information on this page, you are thoroughly discouraged, I am sorry for the cold water. But that is less painful than investing time and money and losing it. Many inventors have mortgaged their house, invested every available dollar, and even lost their family because they have become obsessed with their idea. They think they just haven't gotten it in front of the right person yet. So they are missing all the messages that are telling them it isn't as good an idea as they think. I wish you great success in your inventing, manufacturing, and marketing endeavors. I hope you have found the information on this page helpful.